Fans and analysts of Liga MX have long been criticising the Tigres manager for his overly-cautious, horizontal passing game. Tuca’s style almost always led to Tigres dominating possession and controlling the game, but allowed well-organized sides that are solid defensively the chance to frustrate and stifle Tigres’ star forwards. Not to mention how dull the football sometimes was. However, a change was made towards the end of the season, and into liguilla. During the play-offs, the Monterrey club had over 50% possession in just 3 of their 6 games, and even had less than 40% of the ball when they went to Pumas. Instead of playing slow and sideways, or even backwards, in order to keep the ball, Tigres were looking to play forward more quickly and more regularly. Tuca didn’t want to allow the opposition the chance to sit back as a well-structured unit. The system wasn’t anywhere near as direct as the likes of León or Veracruz, but was a significant change to the usual Tigres tactic. Ferretti also altered up his starting line-up. Often, Lucas “Chino” Zelarayán was given a start at central-midfield, rather than attacking-midfield, allowing another attacker to be fitted in. This boosted numbers when Tigres pushed forward, and added creativity, whilst reducing Tigres’ control over games. Another line-up change was the re-introduction of Jurgen Damm. 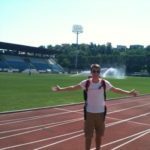 The pacey Damm loves to take risks, mainly by trying to dribble past opponents. Playing Damm probably decreases possession for Tigres, but can increase penetration of opposition defences, which was Tigres’ main problem when playing Tuca’s traditional tactics. The football wasn’t always attractive on the eye, perhaps partly as a result of the Tigres players being used to playing a different way, but it worked. Tigres scored 12 goals during liguilla, and won their 5th Liga MX crown on Christmas Day, in dramatic fashion. The style wasn’t too effective during the final against a very well-structured América side, but Tigres found a way to win. Undoubtedly the star of the play-offs. Gignac scored 6 times in 6 games, despite only managing 5 during a sub-par regular season. Perhaps it was Gignac’s poor displays, and Tuca’s wanting to get the most out of his key player, which triggered the Brazilian to altering his tactics. The more direct style suited the Frenchman, who has the ability to blow teams away when he’s on form and supplied well by his teammates. Gignac also appeared to benefit from the hypnotic treatment that he received before the play-offs. The ex-Marseille striker appeared more confident, sharper, and clearly felt it had made a difference with his celebrations. Morale and confidence can be huge factors in how well strikers perform. Having a good opportunity in front of goal is a high-pressure situation, and being in the wrong frame of mind can have a major impact on whether or not these opportunities are taken. Another effective move from Tuca was to bring back Jesús Duenas into central-midfield for the second leg of the final, dropping Zelarayán. Tigres did lose some creativity, but added Duenas’ energy. Defensive cover was increased, and the Mexico international provided a threat with his late runs into the box. Duenas could have won the game during regular time when his header hit the bar, but he made no mistake with his second big chance of the game. In the 119th minute, Duenas got on the end of a Damm cross, headed across Moi Munoz’s goal, and took the dramatic final into penalties. 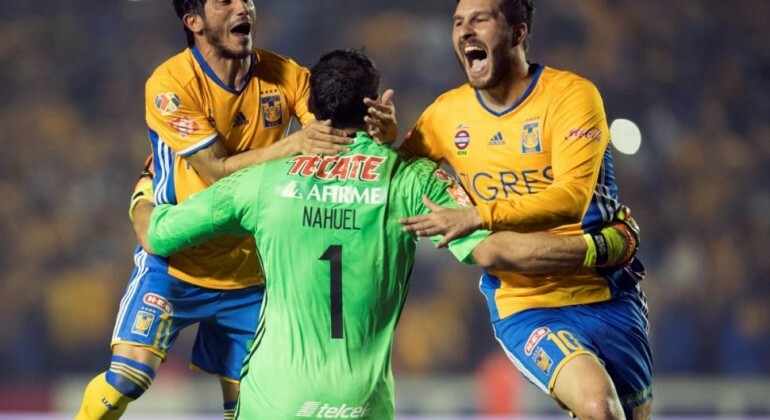 Thanks to Nahuel Guzmán’s heroics, the Argentine extraordinarily saved all 3 penalties that he faced, Tigres won Liga MX. Tuca did make one mistake, switching to a 5-man defence when Jorge Torres Nilo was sent off. This allowed América to push forward, and they quickly made the most of their pressure with Edson Álvarez’s header. But overall, the Tigres legend has made some savvy moves during liguilla, and deserves huge credit for being willing to alter from his favoured style. His reward is a 5th Liga MX crown, 3 of which have come with Tigres. The remarkable Christmas night as Estadio Universitario was the perfect way to celebrate Tuca’s 1000th Liga MX game.